If you are visIting New Zealand, do it in style and go to some of the top wine festivals for an amazing experience from start to end. Some of the best wine festivals in New Zealand this year include the following. Clyde is one of the most historical towns in New Zealand and this annual festival helps celebrate the local food and wine on offer. There is a fee to get into this festival but with free samples of alcohol and food all day long, it is more than worth it. There are so many different wine stalls from some of the best vineyards in the country. Discover some new wines and have an amazing day in general at this event. 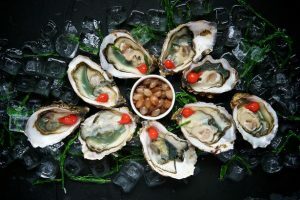 Bluff Oyster Festival is an event that has entertainment throughout, including some high quality live music. You can enjoy the local seafood at this event, washed down with a bucket full of amazing wine of course. This is a festival that attracts thousands of people year after year and hopefully you will be one of them. This festival is entered on celebrating some of the best creators of New Zealand wine. Around 30 lesser known wineries gather at this event and show off their wines, giving samples to the many visitors to the event. In addition to the wines, there are also local delicacies to eat and live music to enjoy. Winetopia is a weekend of discovery, allowing you to find amazing wines that you otherwise might not have known existed. You can taste some classic NZ wine in addition to some brand spanking new ones. The 60+ wineries that go to this event will ensure that you do not go home thirsty!